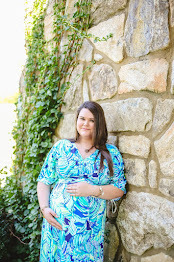 This post contains affiliate links-thank you for supporting Southern & Style! On last weeks Ten on Tuesday I asked if y'all were interested in seeing what was in the August Target Beauty Box that I got, and y'all definitely wanted to see what I thought of it! Let's jump into it. . . I picked this particular box up because I'm almost out of my current deodorant and so I decided that since the deodorant is just over $5 and the box is $7 then I should just get the box instead. I love the full-size deodorant & next to that, I'm most excited about trying out the sheet mask-the packaging on that is too cute! I've tried the Biore pore strips before & although I don't use them often because they aren't very good for your skin, they do work at clearing your pores so I was excited to get a sample to use. The cleansing towelettes are a great value-there are 25 wipes in that package so of course I'll be willing to at least try those. And the Garnier facial scrub & the Herbal Essences shampoo will be perfect to take to Nashville next weekend! Let me know if you got this box below (what was your favorite?) or what item you like best if you've tried any from this box! I love those cleansing towels! I love the biore strips as well, although I'm trying to get better about exfoliating instead. I'm so bad at skin care!! I'm a huge Dove spray deodorant fan- that stuff is amazing! I'm always on the hunt for good makeup removers so interested to see your thoughts on those! Dove's dry spray is the best! Such a need! Looks like a great box with tons of new stuff to try! I've only ever tried the Biore Pore Strips. How neat! I love those cleansing towels! 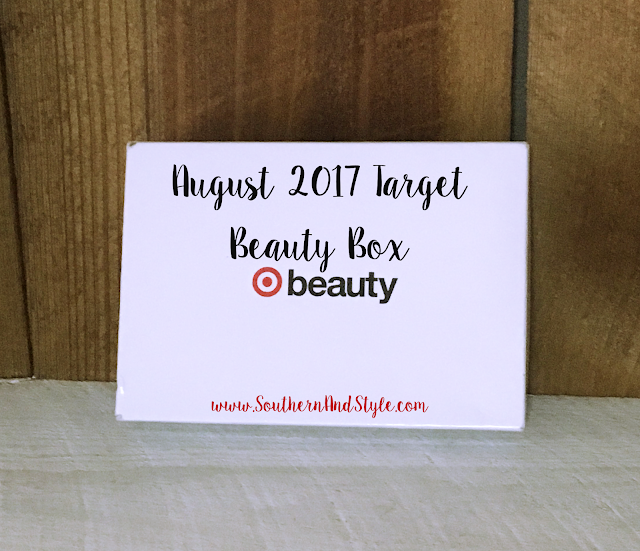 I had no idea target had a beauty box! I want to check it out now! That argan oil shampoo sounds awesome! I definitely need to keep an eye out for it! 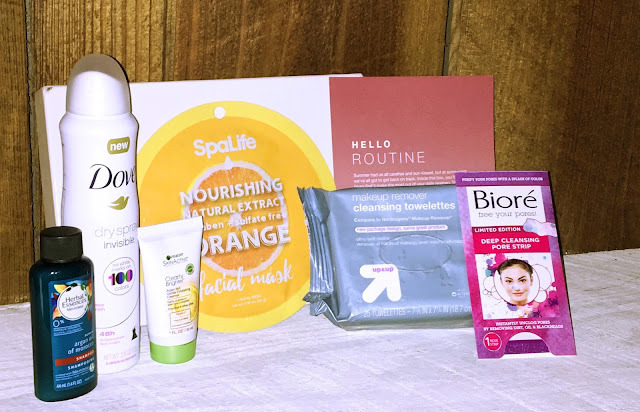 Didn't know Target had it's own beauty box! Thanks for a great post. Those Biore strips can be so bad for yo' skin, but also so satisfying! 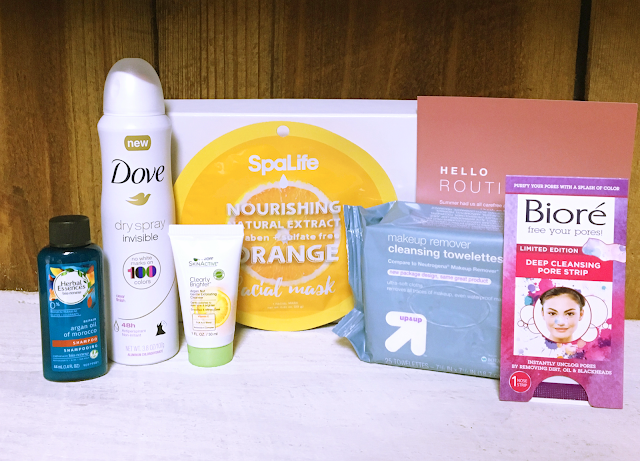 I've heard good stuff about that spray deodorant--so many great things in this beauty box! The Dove Dry Spray is my jam and I always use the Up&Up makeup remover wipes! I've really been wanting to try those Biore pore strips so I got excited when I saw them in the box! Biore strips are everything! Use them weekly!